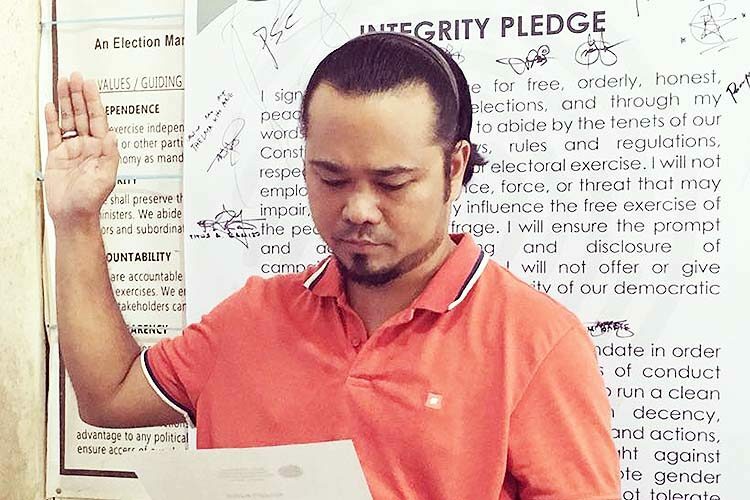 LEGAZPI CITY — A former policeman who is running for councilor in the May 13 mid-term election was gunned down on Saturday evening by a still unidentified gunman at his house in Cataingan town, Masbate province, a police report said. Chief Insp. Maria Luisa Calubaquib, Police Regional Office 5 (PRO-5) spokesperson, identified the victim as Romeuel Medina, 40, of Barangay Poblacion in said town. Calubaquib, quoting police report, said Medina was about to open their house gate at around 7 p.m. when a lone gunman armed with a .45-caliber pistol approached him and shot him on the back portion of his head at close range. The victim was rushed to a nearby hospital but was declared dead on arrival by attending physicians. Witnesses told the police that the suspect fled towards Masbate City.